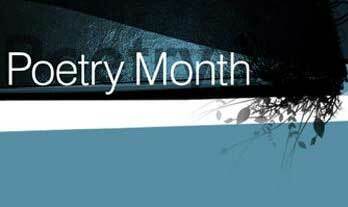 WXXI will celebrate poets and their beautiful words during the month of April, which is National Poetry Month. Once again this year, we will have a special series of Poetry Moments, created in collaboration with Rochester-based BOA Editions﻿. These WXXI / BOA Poetry Moments will be broadcast April 13 – 24 on AM 1370 and Classical 91.5. Louis Simpson was the author of seventeen books of poetry and won numerous awards including the Rome Fellowship of the American Academy of Arts and Letters, a Hudson Review Fellowship, Guggenheim Foundation fellowships, and the Pulitzer Prize. His book The Owner of the House: New Collected Poems 1940-2001 (BOA Editions, 2003) was a finalist for the National Book Award in Poetry and the Griffin Poetry Prize. He died in 2012. Aracelis Girmay is author of the poetry collections Teeth and Kingdom Animalia (BOA Editions, 2011). Her awards include the GCLA New Writers Award, the Isabella Gardner Poetry Award, and a 2015 Whiting Award. Born and raised in Southern California, with roots in Puerto Rico, Eritria, and African America, Girmay is assistant professor of poetry writing at Hampshire College and teaches in the low-residency MFA program at Drew University. She is a Cave Canem Fellow and an Acentos board member. Devin Becker, author of the poetry collection Shame / Shame (BOA Editions, 2015) grew up in Fort Wayne, Indiana, and holds degrees from Williams College, the University of California, Irvine, and Indiana University. His poetry and research articles have been published in American Archivist, Cutbank, Faultline, Microform and Digitization Review, Midwestern Gothic, The Pinch, Prairie Schooner, and elsewhere. He currently lives in Moscow, Idaho, where he works as the digital initiatives librarian at the University of Idaho Library. Brigit Pegeen Kelly has published three books of poetry: To the Place of Trumpets (Yale University Press, 1988), selected by James Merrill for the Yale Series of Younger Poets Prize, Song (BOA Editions, Ltd., 1995), winner of the Lamont Poetry Prize from the Academy of American Poets and The Orchard (BOA Editions, 2004), a finalist for the National Book Critics Circle Award, the Los Angeles Times Book Award, and the Pulitzer Prize. Fleda Brown’s seven collections of poems include No Need of Sympathy (BOA Editions, 2012). Her awards include a Pushcart Prize, the Felix Pollak Prize, the Philip Levine Prize, and the Great Lakes Colleges New Writer’s Award. Her poems have appeared in numerous journals and anthologies, and have been used as texts for several prize-winning musical compositions performed at Eastman School of Music, Yale University, and by the Pittsburgh New Music Ensemble. She is a former poet laureate of Delaware, and is on the faculty of the Rainier Writing Workshop. Yannis Ritsos was one of Greece's most prolific, distinguished and celebrated poets whose many honors included the Alfred de Vigny Award (France, 1975) and the Lenin Prize (U.S.S.R., 1977). His landmark collection, Yannis Ritsos: Selected Poems 1938-1988 was published by BOA Editions in 1989 and remains in-print, serving as a monumental volume that represents 50 years of this major international poet's work. He died in 1990. Born in a small village in the North of Vietnam in 1973, Nguyen Phan Que Mai is the author of three poetry collections and translator of six poetry books. Her poems have been translated and published in English, Spanish, Bahasa Indonesian, Chinese and Uzbek, and have been featured at major international poetry festivals including the First Asia-Pacific Poetry Festival and the Qinghai International Poetry Festival, as well as the International Poetry Festival of Medellin, Colombia. Francisca Aguirre was born in Alicante, Spain in 1930. Her family was forced to flee to France at the end of the Civil War because they sided with the Republic. In 1942, as a result of the German invasion, her family returned to Spain where her father, painter Lorenzo Aguirre, was murdered by the Franco regime. In 2004, BOA Editions published Ana Valverde Osan’s translation of Aguirre’s first poetry collection, Ithaca, a reworking of the Greek myth of Odysseus told from Penelope's perspective. Nin Andrews grew up on a farm in Charlottesville, Virginia. She is the author of numerous books including Why God Is a Woman (BOA Editions, 2015), and Sleeping with Houdini (BOA Editions, 2007) which was named one of the ten best poetry books of 2010 by the Monserrat Review. Her poems and stories appear widely in such places as Ploughshares, The Paris Review, Best American Poetry, Great American Prose Poems, and elsewhere. She lives in Poland, Ohio.